.. well less about the design, and more about what the general contents should be. I have kept the elements very simple, so they easily stick out as simple placeholders. 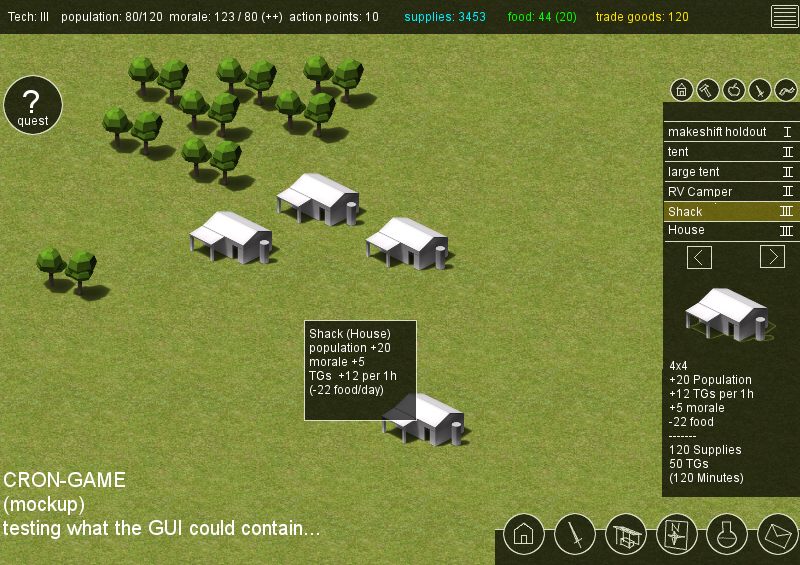 As you can see I have several resources in mind and a little menu for placing new structures. The “morale” resource is linked to the general mude within the city, and affects the population growth (how attractive is it to settle there) and productivity of its inhabitants. The action points can be spend for researching new technology (very CIV like) and special actions. 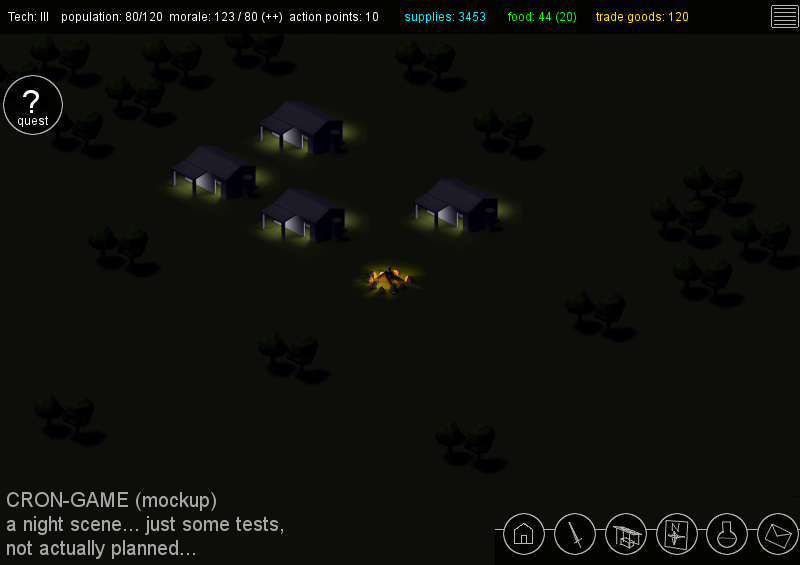 This is a test scene, rendering the “city” at night. It gives a nice cosy mude, but is not really planned to be on the agenda. Should the game have a day/night cycle? What do you think?